Does anyone know what type of mushrooms these might be? The image was captured in Vancouver. Seems to be as wet and moist as I remember it. Thanks for the link. That guy really knows his mushrooms. Actually, "honey mushrooms" was what I had in mind, but they all start to look that same at that hour. ... and these look to be the same or similar type. Or maybe not? I recently attended a fungi identification course, but all I got out of it was that it was far too dangerous to eat foraged fungi unless you really do know what you are doing! As an example of the methods used, you need to pick a healthy mushroom, not too old, nor too young, and place it over a sheet of white paper, and cover with a glass jar. In time spores will fall onto the paper - that's how they multiply - and the colour of the spores is a vital clue in the identification process. So pink might be poison and white OK, or vice versa! It's also important to actually pick a specimen and to carefully examine the stem - is there a ring around it - and the gill ( the bit under the top part). 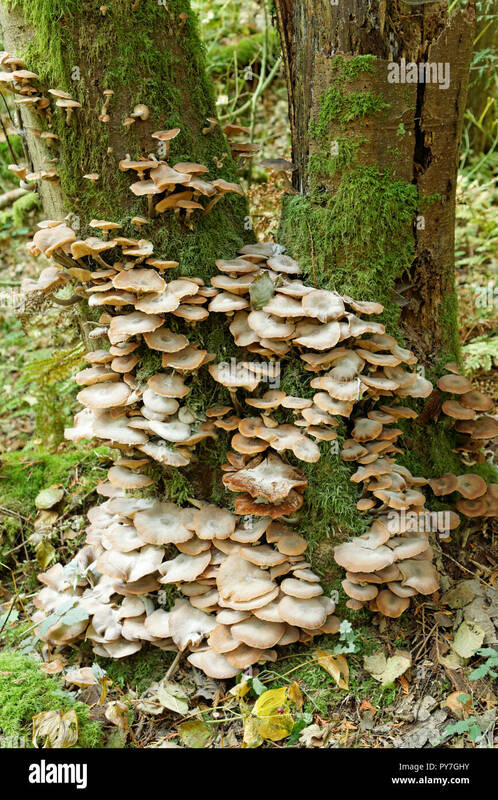 The way the fungus handles is also important, some are brittle some not etc. So, sorry John, can't help. I have thought of buying a book on the subject, and then picking a few specimens for examination. But beware, some are so poisonous that you need to wash your hands carefully after handling in case you ingest something nasty. I don't think that the poison works through your skin, but taken by mouth, can be fatal. Thanks very much for the responses. 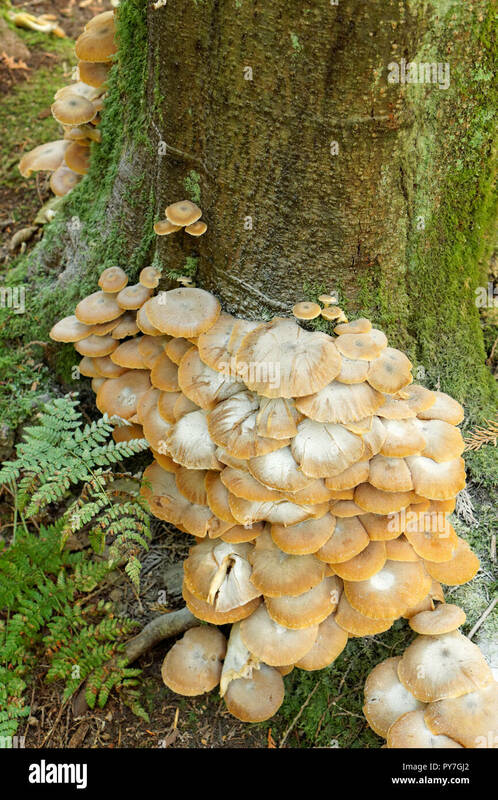 It looks as if Armillaria mellea (honey mushrooms) is the winner. No wild mushroom omelettes on the menu today, Bryan, but the tips are appreciated. I prefer to get my mushrooms at the grocery store. There are too many poisonous varieties thriving in BC forests and parks for my liking. I hesitate to ask, but are these mushrooms edible? Dont worry, I won't quote you.